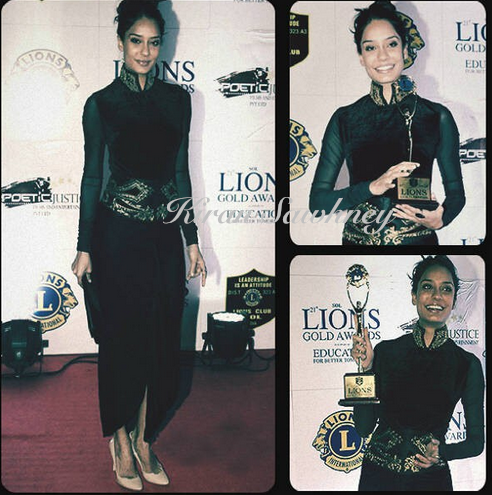 Lisa attended the Lions Gold awards in Tarun Tahiliani separates. She wore dhoti pants with velvet top and embroidered belt. She finished the look with up tied hair. Its a chic look. She carried it well.